I just had to share these tonight. I went to the Nativity Play at our local school this morning (where I am a governor), not expecting to see my granddaughter, Ella, as she is really quite poorly with a cough and cold. But I got a text from Bev saying she wanted to go in as she was in the play as an angel, so I just couldn't resist posting these pics. You can see she looks very peaky but she did everything she was supposed to do so beautifully. 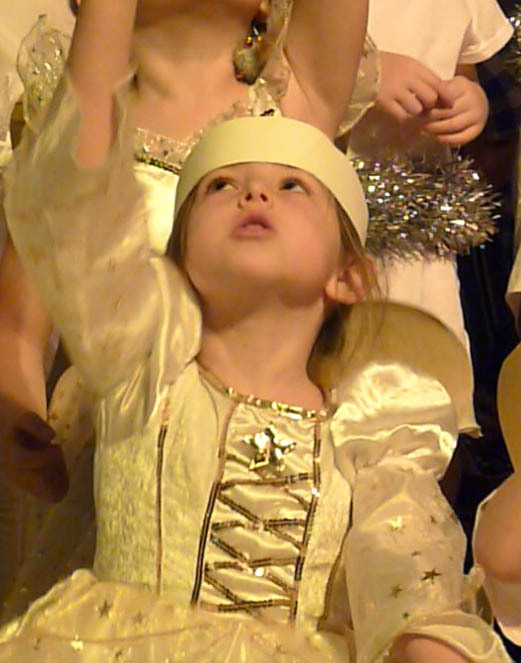 How lovely to have your own Christmas angel. She brought a tear to my eye watching her. Thanks for letting me share my angel with you. She looks gorgeous! Hope her cold goes soon! 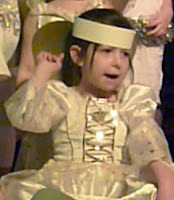 Lovely pics Brenda and she looks a real little cutie in her angel costume. Hoping she feels better soon. Really a little sweetie, you should be very proud of her. Hope she'll get better soon. Awwww so sweet in her Angel costume, hope she is feeling better soon. Ah Brenda how proud you must be , she looked beautiful what a little trooper ! Bless her sweet little heart! I sure hope she starts feeling better really soon! Hugs! Lovely photos, Brenda. These sort of moments are so precious. Hope she is better in time for Santa coming!! 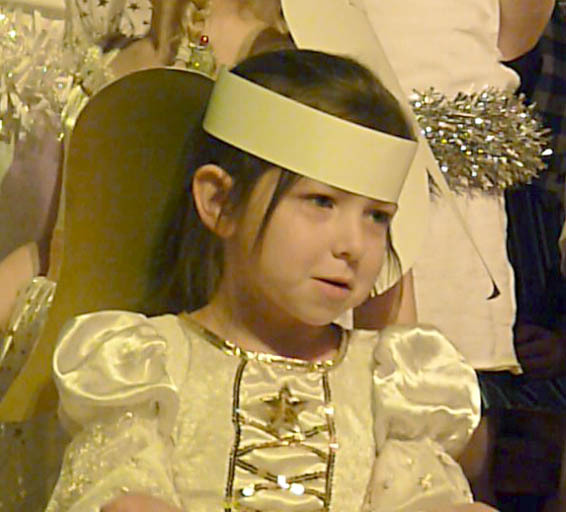 Brenda, she looks so cute in her angel outfit, and what a trooper, doing the play despite being poorly. I know what you mean, about bringing a tear to your eye, It was the same with my two boys, when they did school productions, only it can get a bit embarrassing for them when you are balling your eyes out.LOL! Memory Box dies on Vintage Christmas card.